Inkjet photo: full-colour printing in slow print mode, allows heavy ink coverage and better resolution. We can print full-color CMYK images directly onto your CD-Rs, DVD-Rs, or Blu-ray BD-Rs. It is important to understand that the silkscreen process will change the contrast of your image. Silkscreen is best for solid colours, and not photos or gradients. CMYK silkscreen is a good value for quantities over 1000 discs. Offset print is called for where large quantities of discs need to be printed with a photo image. This service is offered on a custom-quote basis, so please contact us for this service. 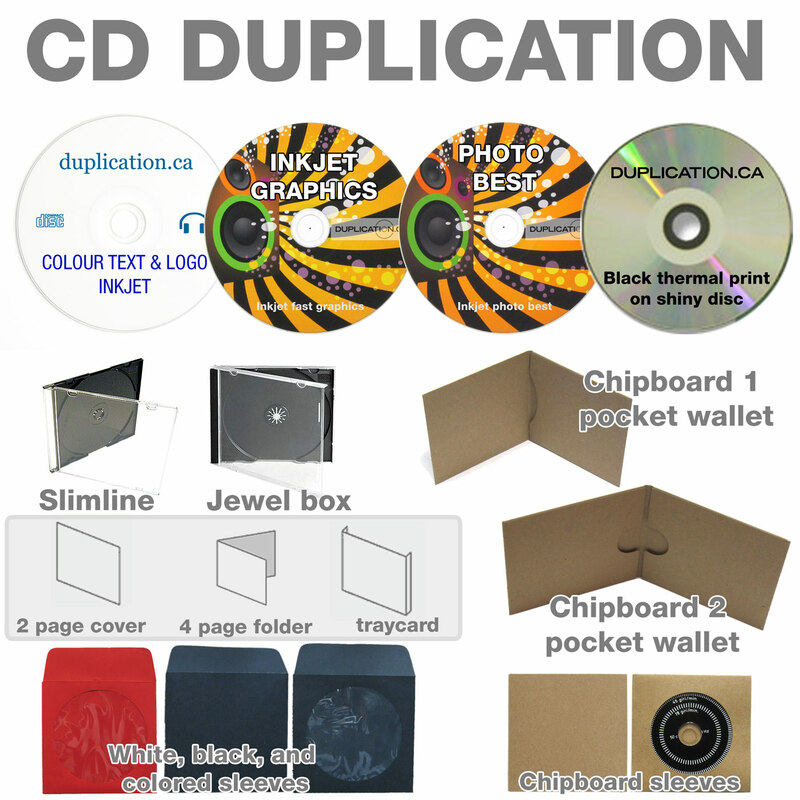 Only available on DVD-R and Blu-ray, not CD-R.
We offer digital printing of your CD and DVD covers. These are covers we print inhouse on our own Canon production machine. We can offer service as fast as same-day. Booklets and larger poster formats require extra time for bindery or offset printing so they are not offered as part of these quick-turn packages. These covers are printed full colour on both sides of the paper. The standard paper stock is 100lb text gloss.